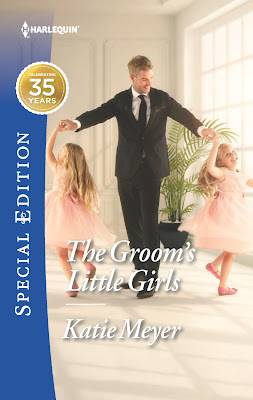 The Groom's Little Girls is on sale! Get a digital copy for only $1.99 for a limited time! This is one of my favorite stories, and is all about finding your strength while also being there for others. Lots of cute kids, a handsome single dad, and a pair of adorable kittens. What more could you want? THIS ATTORNEY'S GOT A CASE OF TRUE LOVE! After several difficult months, Dani is finally getting her career and life back while learning to deal with her PTSD. Her heart is even opening up again, thanks to handsome Tyler. His ability to care for family and help her unsettled charge sparks something deep within Dani—something she thought was lost long ago. But can she learn to trust again—and open her heart to Paradise?